A giving campaign to empower youth through music for our 2018-19 season! Thank you for helping us make a difference in young lives through music! Your support empowers us to touch so many people and places with the inspiring powers of live musical performances and music education. DC Area, SF Bay Area, Costa Rica…and beyond! Spreading the message of inclusivity with our education program featuring "The Trouble With Ben." The imaginative musical storytelling brought to life by composer D.J. Sparr, featuring the lyrics and story by Grammy award winning writer Barry Louis Polisar. None of this is possible without your continued support in the form of either your one time donations, quarterly donations or your yearly pledges. 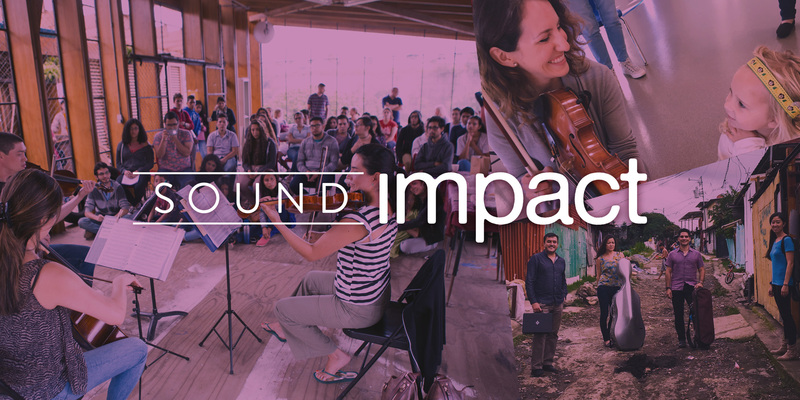 Your gift to support Sound Impact's mission is tax deductible to the extent allowed by law.